Ukraine and the European Union have initiated an association agreement, putting Kyiv one step closer to membership in the bloc. European officials have referred to Friday's proceeding as a technical measure similar to proofreading the lengthy document, which is the product of five years of negotiations. The accord must now be translated into more than 20 EU languages and approved by all members before it can move forward, a process that is expected to take months. The association agreement is not expected to be signed until after Ukraine holds parliamentary elections in October 2012. EU officials have said they will not sign the document until they see improvements in Ukraine's adherence to the EU's "core values," which include an independent judicial system, free and fair elections and constitutional reform. 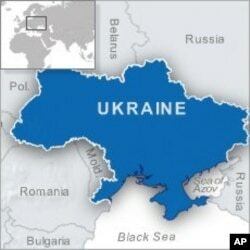 The two sides are also at odds over Ukraine's jailing of former Prime Minister Yulia Tymoshenko for abuse of power. The EU has called for her release, saying the charges against her are politically motivated. Ms. Tymoshenko is a political rival of Ukrainian President Viktor Yanukovych. The former prime minister and opposition leader was convicted and sentenced to seven years in jail in October for abusing her authority in a 2009 gas deal with Russia that her opponents say was too beneficial to Russia. She denies any wrongdoing, and has described her trial as "a political lynching" aimed at allowing President Yanukovych to rid himself of a political rival. He denies the accusation.